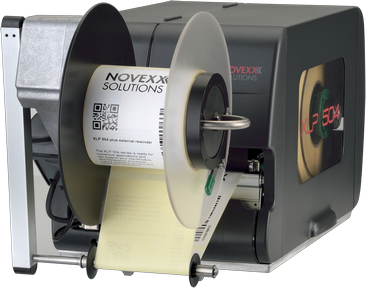 The industrial all-round XLP 50x Label Printer is the perfect print solution for medium label volume applications. It can be used with thermal direct or thermal transfer technology and prints high-quality fonts, images, barcodes and QR codes on a large variety of label materials: (coated) papers, PE/PP, cardboard or textiles up to 120 mm width. 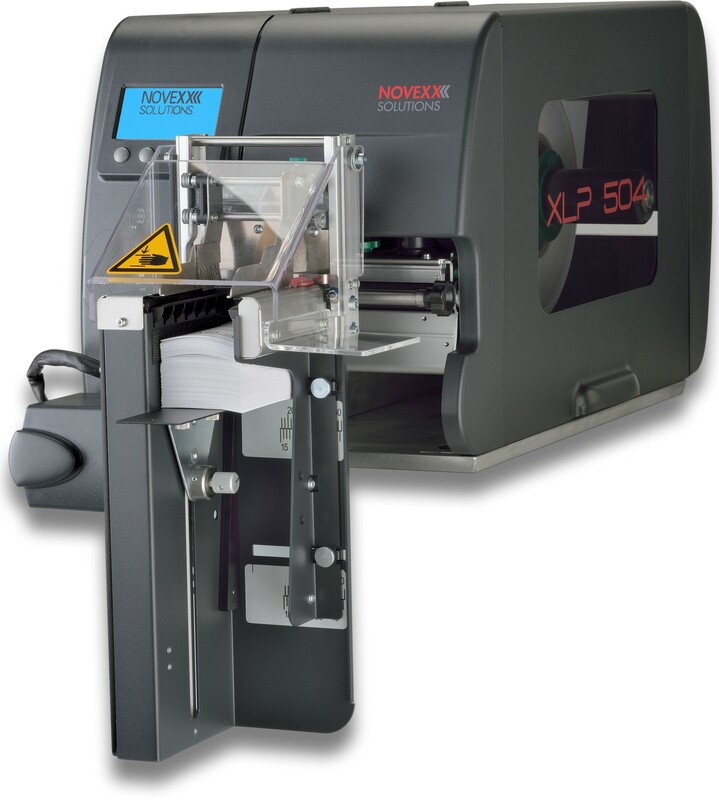 Depending on model and configuration the XLP 50x prints in 203, 300 or 600 dpi resolution in a width of 4’’ or 6’’. Due to its flexibility, the XLP 504 is ready for numerous applications and will support your identification and traceability processes, mainly related to primary and secondary packaging in a variety of industries from food processing to pharmaceuticals and consumer goods. For those customers who need to print smaller batches of changing labels, the XLP 50x with cutter is the perfect choice. Its industry grade cutting knife cuts the label material precisely and reliably after the printing process of a batch is finished. For products with soft and fragile surfaces, the XLP 504 with the LTSA Soft Touch Applicator is the best version. The combination of the industrial label printer with the LTSA results in a semi-automatic solution that can label batches of fragile products of varying heights with ease. This makes the XLP 504 with LTSA the perfect choice for the food industry among others. When it comes to printing larger amounts of labels, the XLP 50x with external rewinder is the right choice. The easily attached rewinder gathers the printed labels in one smooth process – which then can be easily removed for usage at packing stations etc. 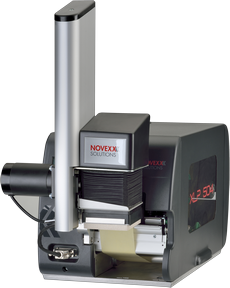 The XLP 50x with dispenser and internal rewinder is a compact solution. 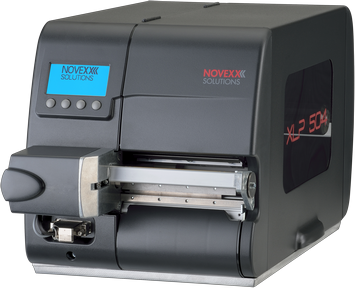 It prints and then dispense the self-adhesive label so the operator can effortlessly retrieve the label and apply it. The label backing paper is automatically rolled-up by the internal rewinder. The XLP 504 with Textile Cutter-Stacker TCS is the perfect 3-in-1-solution for the requirements of textile materials used mainly for wash care labels. These permanent care labels often require very small fonts and fine-lined graphics for wash care symbols and logos for branding. The XLP 504 with TCS offers high-definition print quality at a high volume output. Its attractive purchase and maintenance cost make it a great choice for start-ups and low-cost mass productions alike. 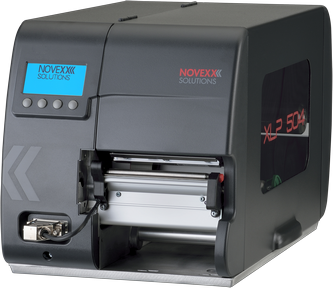 Do you want to get more information about XLP 504 or XLP 506, the NOVEXX Solutions service range, prices and availability? Then send us your request by using the contact form or call +49 8165 925-299. We look forward to providing you with individual solutions for your specific requirements! Find out more about our new XLP 50x range.